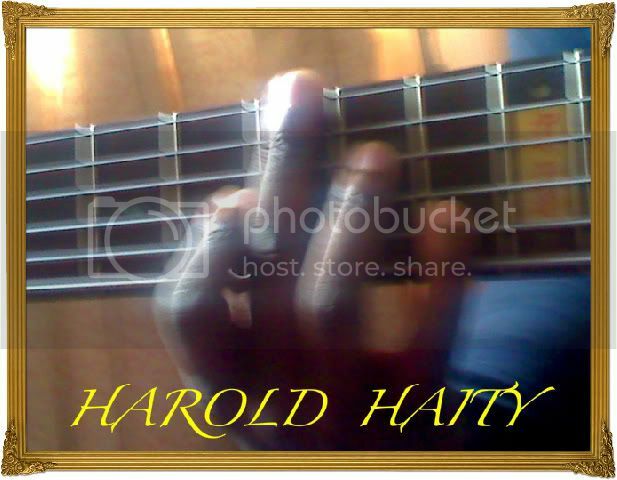 HAROLD HAITY's Page - THE JAZZ NETWORK WORLDWIDE "A GREAT PLACE TO HANG"
HAROLD HAITY: Freelance Solo Bassist, Composer, Songwriter & Harmony Tutor. Harold plays exclusively a Custom-built Six string Sandberg Signature Bass. Harold's versatility in constructing groovy and functional bass lines, playing melodies and harmonies and improvising makes his unique style very admirable. During his performance, especially when he entertains alone as Freelance Solo Bassist is inspiring and breathtaking. Hey Harold, Gee Renee here. Thanks for the add, I love your sound!!! Thanks Harold- gee, I wish I was in London! Would love to play with you some day. Thanks Harold, blessings to you as well my friend. Hey, bro. Kwesi. It's been a while and I have to tell you that I'm enjoying listening to your playing, especially your touch and phrasing. I just submitted one of my most recent pieces to this site as well. The piece is a re-arrangement of an acoustic jazz piece I wrote back in 2004 for an ex-girlfried I painfully miss. I named the piece 'Bedroom Eyes' which was my nickname for her. Hope you enjoy. thank you for you nice words. Maybe we get a chance next time to meet and make Music together. Always a blessing to here from you Harold, hope you had a great stay in the states my brother and thanks so much for the compliment. I can't wait till we work on some projects together. Thank you sooooo much for your comments. The reaction is mutual. It would be wicked if we could work together sometime soon. Why not! Hi Harold! This is Ebo. My number is 024 561 4733. Will be in touch. Stay blessed!